"Build each home as if you are building it for yourself. Treat each customer with the respect they deserve. And make the building process a positive experience with a can-do attitude and integrity." A family-owned business started by Randy French, a lifelong resident of Bryan/College Station. Randy's passion for architecture and design, along with his heart for helping people, led him to found Stylecraft Builders, which he built up from just four homes a year to over 700. Randy instilled his love of both homebuilding and caring for people in his oldest son, Doug. Doug came to work alongside his father in 2009, and continues to run the company today with the same passion as his father! Stylecraft Builders was founded on the Golden Rule: "Build each home as if you are building it for yourself. Treat each customer with the respect they deserve. And make the building process a positive experience with a can-do attitude and integrity." It’s this rule that has us devoted to delivering better customer care and building stronger relationships with our homebuyers. Building New Homes With MORE… MORE STYLE, MORE QUALITY, MORE VALUE. From our comprehensive Homeowners Guide to our outstanding warranty program, to our attention to detail, we’re here to guide you through to process from start to finish, and beyond! This enables us to establish trust with our homeowners, which has cemented our bond with the Central Texas community, building strong relationships with our homebuyers and the surrounding communities. In fact, many of our team members live, play, and pray in the same communities as our homeowners. Here at Stylecraft Builders, we deliver a personalized home with more included features at a great price, while using materials and building methods that exceed industry standards. Offering a wide variety of floor plans at varying price levels allow us to better serve the needs of our Stylecraft families. Flexibility and personalization are key, so that each home reflects the needs of each homeowner. We want our buyers to know that they are an integral part of building their dream home. 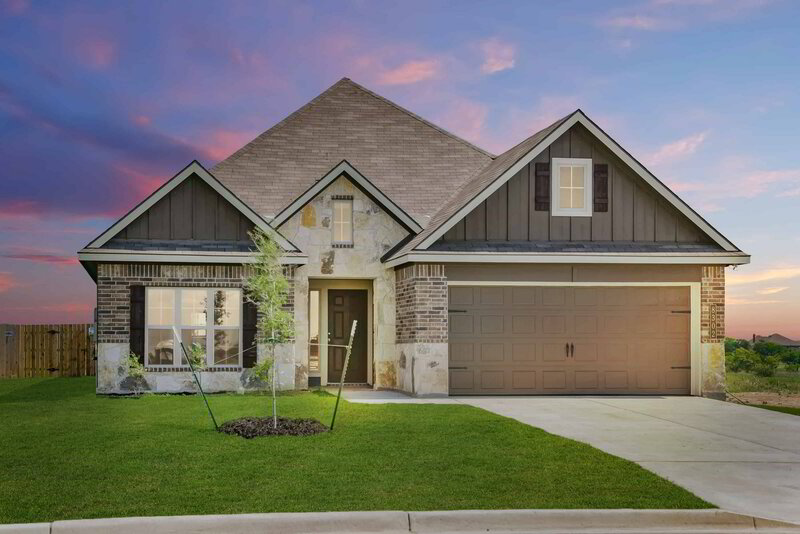 That kind of value, along with our dedication to quality, outstanding customer service and family, has enabled Stylecraft Builders to become the largest private homebuilder in Central Texas. We look forward to growing with our communities, and welcoming many more families home for generations to come.